This is a brand new creation, hot off the presses! Isn't the lemonade stand clip art adorable? I got it for FREE when I started following Cara's Creative Playground blog. If you haven't checked out her new blog, go check it out TODAY! It is adorable, and she has so many creative craft ideas! I am planning to do some of them with my daughters this summer. 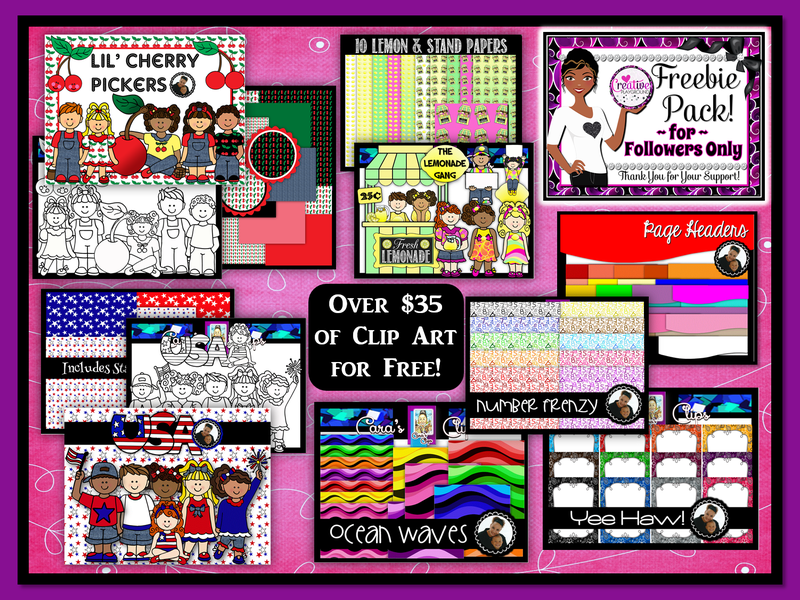 If you follow her blog by June 30, Cara will send you this enormous pack of goodies! 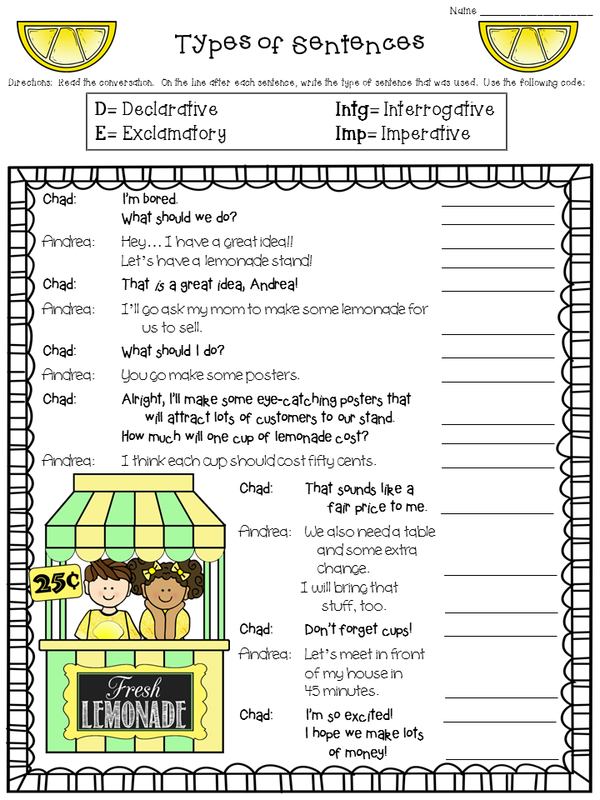 Do you see my lemonade stand friends that I used in the worksheet? I hope you and your students like the worksheet! What a great worksheet! Of course, all of your products are GREAT! Thanks for sharing. Deb, you are AWESOME! Thanks so much for giving me some love and using my clip art. I love how creative you were and it looks wonderful. I appreciate your kindness and your blog design is cool as ever too! You're welcome, Cara! Thank YOU for that amazing bundle! It is such an amazing deal... I think everyone should know about it! Thanks for the freebie! :0) Looks great! You're welcome! I'm glad you like it! Thanks for visiting again, Sarah! This is a great resource! Thank you so much for sharing. You're welcome! Thanks for visiting my blog! Love this worksheet, Deb! It'll be a great one for my kiddos to keep in their writing binders to remember the difference. I may have them highlight punctuation or key words that helped them decide which type of center it is! Thanks so much! LOL! I'm glad I'm not the only one who does that! :) That is a great idea to have students highlight punctuation or key words!!!! I hadn't thought of that! Thanks for sharing!